Morinzhi is a nutritional botanical beverage specially formulated from Morinda citrifolia and is enriched with Roselle. 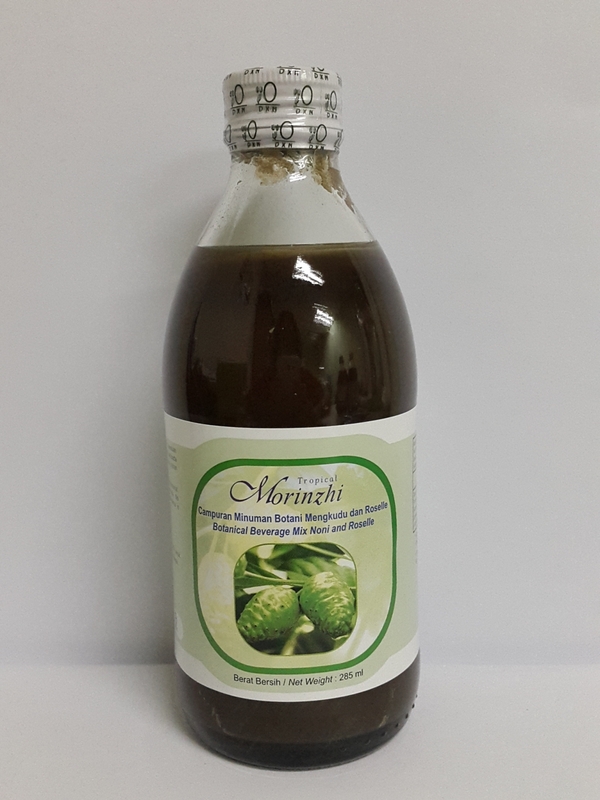 Morinda citrifolia (Noni) has been traditionally used as health drink among the folks in South Pacific region. Morinzhi is rich in vitamins, minerals and antioxidants. No preservatives substance, colouring substance and flavouring substance is added. Noni Juice, Roselle Juice and Fructose.